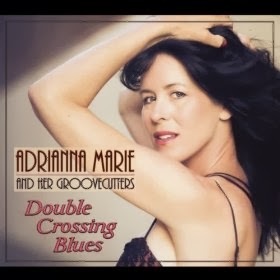 I just received a copy of the debut release, Double Crossing Blues, from Adrianna Marie and her Groovecutters. Opening with I Want a Tall Skinny Papa, Adrianna Marie lets you know right up front that she means business with her 40's style. LA Jones is on hand playsing some extremely wicked riffs on guitar and Ron Dziubla is wild on sax, pushed by nice trumpet work by Lee Thornburg. On I Ain't In The Mood, AM has a real bluesy feel but never crossing over from classic ballad style singing. Jones throws out hot riff after riff and Larry Big House David Cohen carries the weight on piano and smokin harp. Is You Is Or Is You Ain't My Baby maintains a clear 40's style with muted trumpet and nice upright bass work from Dave Deforest. Ron Felton (drums), along with Thornburg and Dziubla really hit that big band feel on the head. Cherry Wine is a twistin rocker with cool rolling piano by Cohen and AM swinging away. Dziubla and Jones both rip it up on this one! Sugar has a strong big band feel with a leading sax melody by Dziubla and hot trumpet work from Thornburg. AM really has a feel for the 40's a delivers on vocals but leaving a lot of space for solos from her troup of excellent musicians. Cohen really rocks the keys on this track and each of the horn players takes a good long spell. Hands Off is a Chicago style blues track, Kida leading the way. Cohen has the harp going wild again and Jones jumps in with a splitting guitar solo. 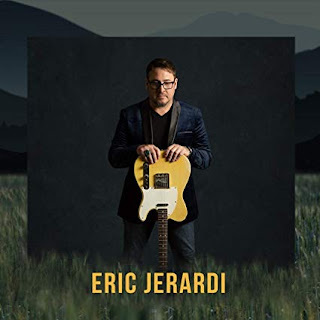 Title track, Double Crossing Blues is one of my favorite tracks on the release playing at a slow pace and allowing Jones to lay down some cool T Bone style riffs as well as sing a few bars. Very tasty! That's A Pretty Good Love has a Latin rock style with 50's overtones almost in an Elvis like play. Dziubla is king on this track with the Bari sax and Jones lays down a hot riff on this track as well. On shuffle track, I Won't Sell My Love, AM is way upfront on vocals but there are some really cool guitar and piano riffs going on under the melody. Deforest steps up for a nice bass solo on this track as well giving the track a new cool, but Jones and Cohen lay down extended riffs for the meat of the track. 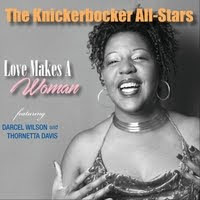 He May Be Your Man is a swinging rocker with David kida rappin the skins and Jones really opens the door for Thornburg to lay down some dixie style trumpet and Dziubla to blow a hole in it. Nice! 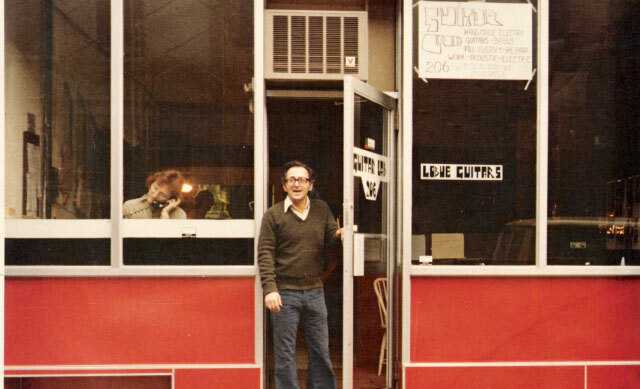 The release is closed with Sad Night Owl, a New Orleans style slow blues with Cohen on piano and Jones on guitar playing a simple blues jam with Felton and Deforest. This track is not to be taken lightly. It really smokes.